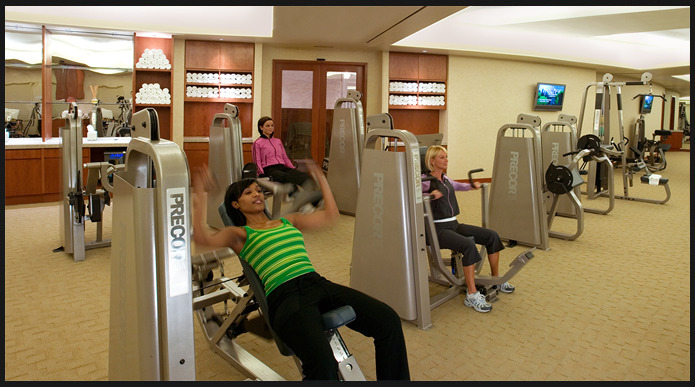 The Fitness Center is located at the S level of the hotel and available 24 hours a day to hotel guests. Our state-of-the-art fitness area is outfitted with the most advanced Precore™ cardio, resistance, and free weight equipment available. Guests are provided with fresh towels and bottled water. Fruit infused water is available at our infused water station daily. Four huge plasma screens display the news, information, and entertainment of your choice. 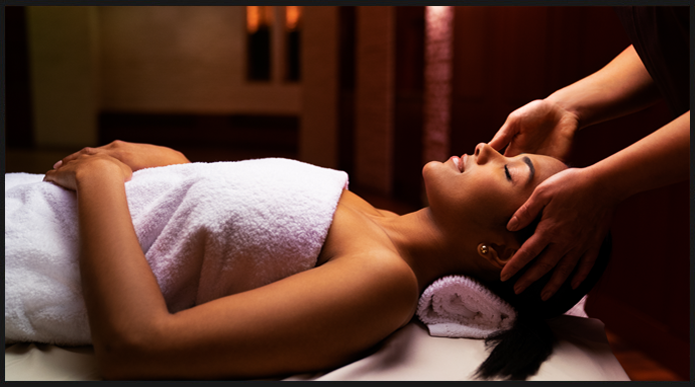 Lockers, steam room, and whirlpool are available for all hotel guests for a $25 fee which can be credited towards any spa service. 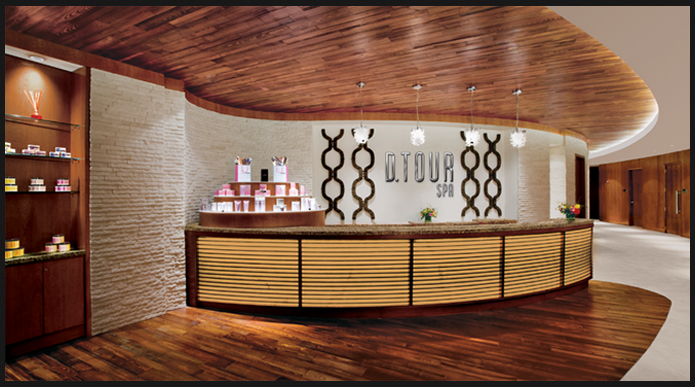 Our Fitness Center is a hotel amenity, and is not included with spa services.